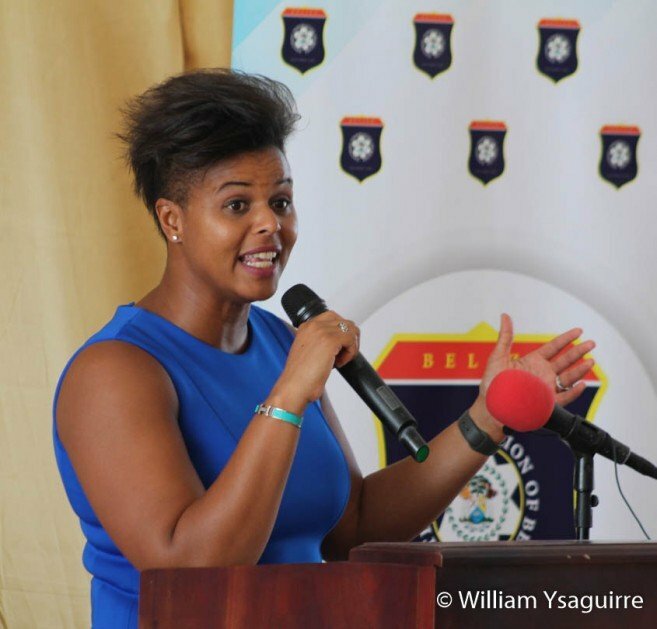 Canada’s former goalkeeper Karina LeBlanc, now CONCACAF’s (Confederation of North, Central American and Caribbean Association Football) Head of Women’s football, was the guest speaker with inspiring words for young Belizean footballers. LeBlanc had 110 appearances for Canada in several Women’s World cups in her 17-year career, and she encouraged the young footballers to strive for the pride of wearing the national uniform in international tournaments, that they might be a source of inspiration to the rest of the nation. LeBlanc was born in Atlanta, Georgia, USA of Caribbean parents, a Jamaican father and a mother from Dominica. 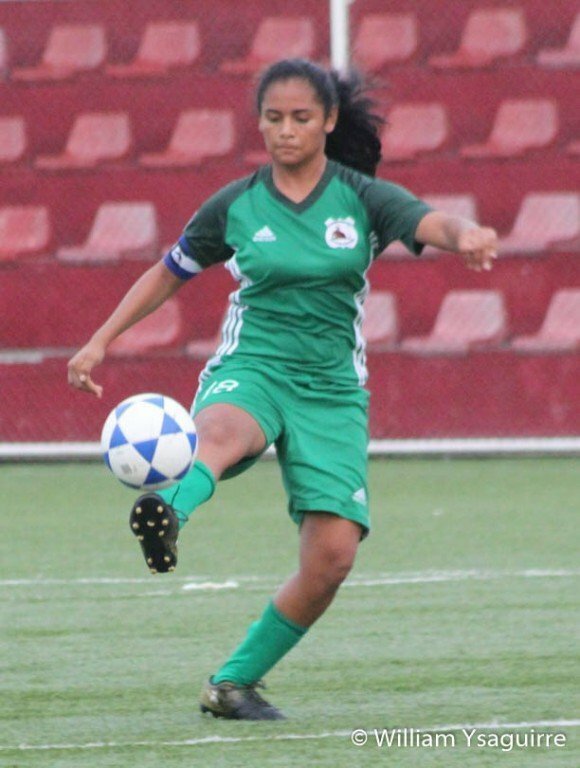 She won the bronze medal as Canada’s goalkeeper at the 2007 Pan-American Games in Rio de Janeiro but overcame that disappointment to hold true to her purpose and trained to win the Gold medal at the 2011 Pan Am Games in Guadalajara, Mexico when she stopped two penalties in the finals. She went on to win the bronze medal at the 2012 London Olympics. U17 awardees: (l-r) best defense Miguel Uh, MVP Jesse August, Best midfielder Alexis Chan, Karina LeBlanc, Most Goals - Alwin Zelaya, Coach Orlando Trejo. All the other female awardees also had other tournament commitments and were not present. 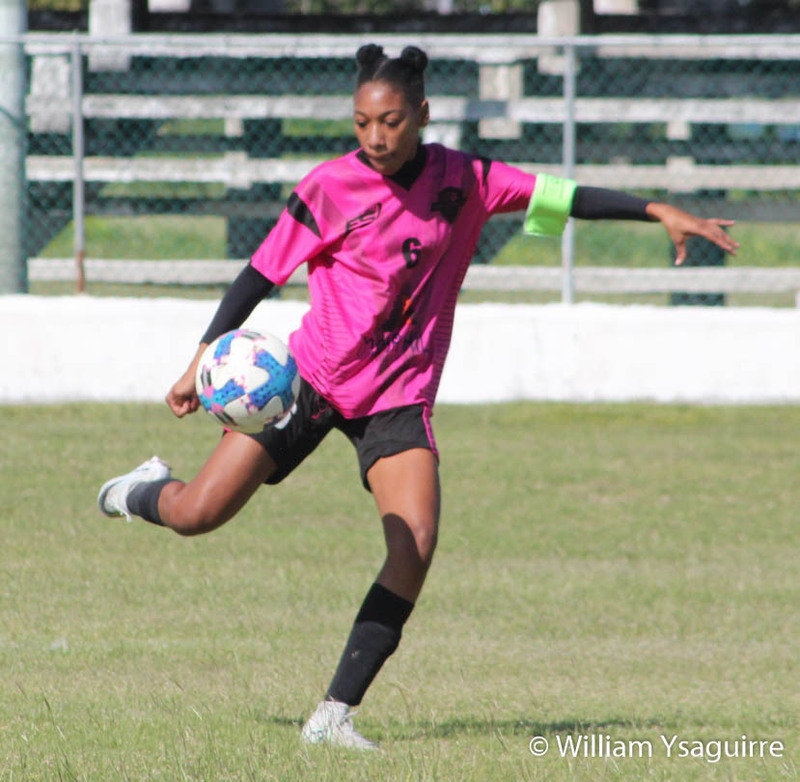 Most Valuable Player Florine Vasquez, Best Forward Kelly Dawson, and Keonda "Kiki" Kayaba, all of St. Ignatius High School in Santa Elena, Cayo had commitments in the high school's western regionals. Female phenomenon Katie Jones won the award for Most Goals, and Blackman Eddy’s Bartolo Tuyub won Best Coach. U15 awardees: coach Eric Dunn, Best midfield Omar Flores, MVP Clifford Sanker, Best forward Antwone Baptist, Best defense Victor Carillo, Best goalie Mark Hall. 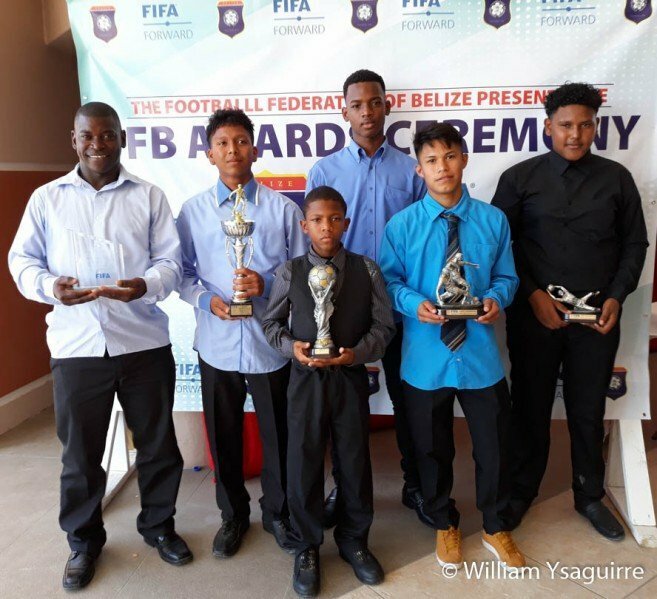 The Under-15 awardees were Clifford Sanker of the Corozal Invaders - Most Valuable Player, and his teammates Omar Flores - Best Midfielder, Victor Carillo - Best Defense, Andres Miranda - Most Goals, and Mark Hall - Best Goalkeeper. Their coach Eric Dunn received the Best Coach award, and Antwone Baptist of Revolution FC from Belmopan won Best Forward. 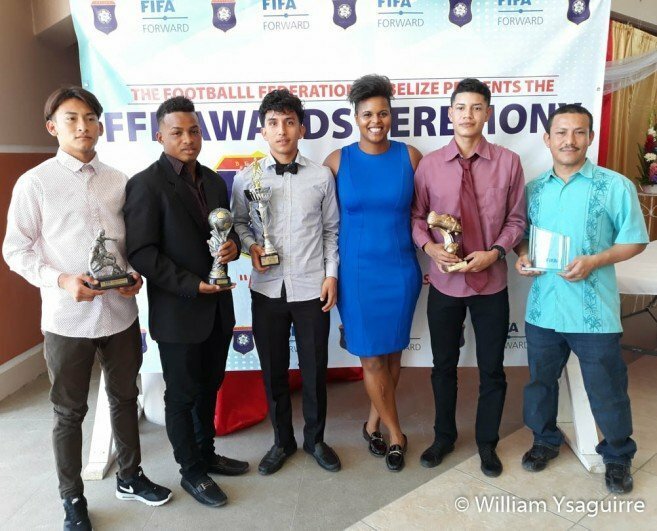 The Under-17 awardees were Jesse August of Centaur Cable - Most Valuable Player, and his teammates Jaheim Augustine - Best Forward, Miguel Uh - Best Defense, Alexis Chan - Best Midfielder, and Izhar Carillo - Best Goalkeeper. Centaur’s Orlando Trejo Dunn received the Best Coach award, and Alwin Zelaya of Bella Vista received the Most Goals award. Carillo could not be present to receive his award due to a death in the family, while Jaheim Augustine had northern high school football regionals and was not present. 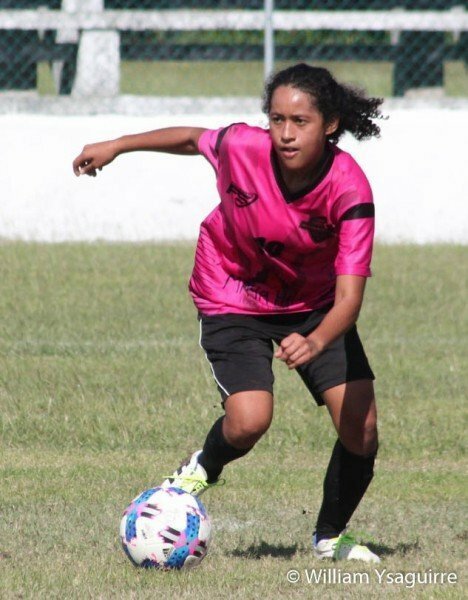 FFB president Sergio Chuc also encouraged the players, affirming that they are the foundation for the talent pool from which the FFb would draw future national teams. 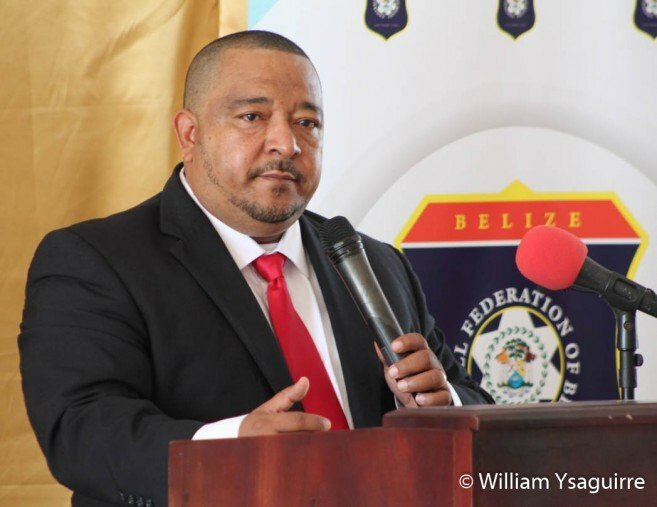 He promised them that the FFb would continue with its development programme through participation in regional tournaments and playing international friendlies to improve the caliber of Belize’s players for future international competitions. Meet the 2018-2019 San Pedro Pirates Football Club Players!